We teach Wing Tsun ( Wing Chun ), a martial art of top effectiveness in self-defense situations and directly applicable to real life. Through the practice students develop qualities of coordination, mental acuity, physical fitness and awareness of themselves as able to achieve something they want badly. Serving Tempe, Mesa, Gilbert, and San Tan Valley, Wing Tsun Arizona offers top quality martial arts instruction in Wing Tsun kung-fu three evenings and two early mornings per week in Gilbert, AZ. Students are certified by an international association, the largest of it kind in the world. Our system, Leung Ting WingTsun® is Yip Man lineage via Great Grandmaster Leung Ting, the “closed door” student of late Grandmaster Yip Man. 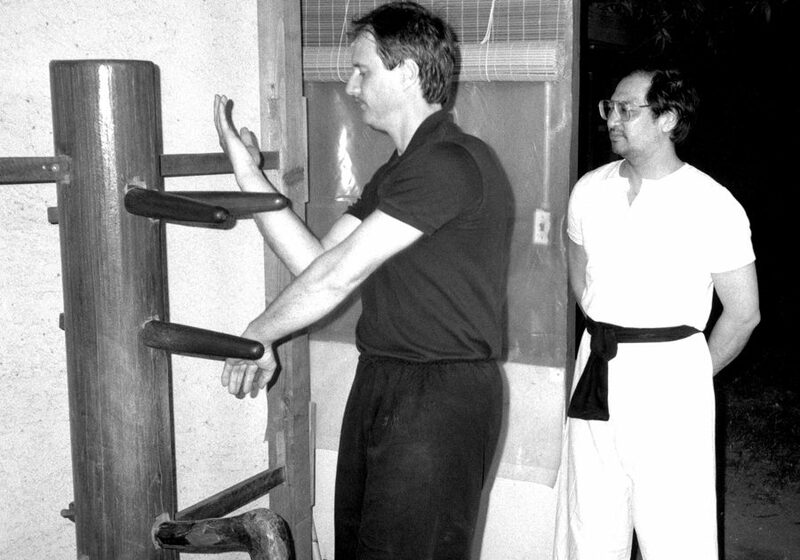 In the 1970s, the young master Leung Ting created his own teaching system out of his Wing Chun knowledge. He called it Wing Tsun to distinguish it from all the others. Students do it, first, by taking one or more trial classes with a us. After the trial classes the student can decide whether they wish to continue. Each student starts as a beginner. After a few months of faithful attendance and practice at home, a student may be ready to test for their First Student Grade. It is a physical test in front of the head instructor and / or senior helpers. The head instructor (called the Si-fu by tradition of the Chinese people) decides when he thinks a student is ready to test for higher rank. Students progress at their own pace. It is important for a student to link the classes together by practicing outside of class and maintain regular attendance. Classes are quite different from other martial arts classes. More individual attention is given. Skill-building rather than just mimicking movements is the way we do it. Wing Tsun is challenging but rewarding. No particular athletic ability is required. Success and progress is more about keeping a positive, can do attitude. south-east corner of Guadalupe and Gilbert: 745 N. Gilbert Rd., #120, Gilbert, AZ 85234. Keith Sonnenberg is a “Sifu”(see-foo) of Chinese martial arts. Sifu means teacher in Cantonese. It can also mean “father figure.” Sifu Sonnenberg is a 4th Level Technician in Leung Ting WingTsun® and has studied this system since 1980. He had a chance to train in Filipino Escrima in the late 1980s and received a probationary instructor certificate in that system. Prior to Leung Ting WingTsun® he studied Wing Chun in another Yip man lineage for several years beginning in 1976. In between he traveled to San Francisco to learn from a Wing Chun instructor there. Earlier in his martial arts career he attained the black belt in Tang Soo Do in 1970 when he was only 19 years of age. What can Self-Defense Training Teach Me? Wing Tsun is a self-defense system first and foremost. Self-defense is about defending yourself from harm. There is no sport application, tournaments for Wing Tsun kung-fu or point sparring. Wing Tsun training is a lot more than self-defense or competing. Students learn more about themselves. They learn what they can achieve through focused work on improving oneself, ones reactions, physical fitness, posture, or flexibility. The body and mind become more fit and work as one. A student can feel what it can be like to accomplish something tangible with one’s own body. It is a rewarding feeling to learn a skill that has such value for today’s world.